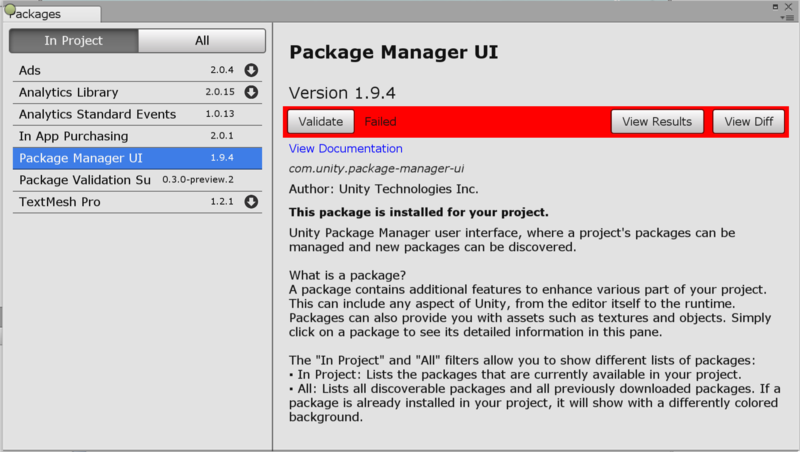 The Package Validation Suite requires the Package Manager UI extension mechanism, which is available from version 1.9.3 or later. 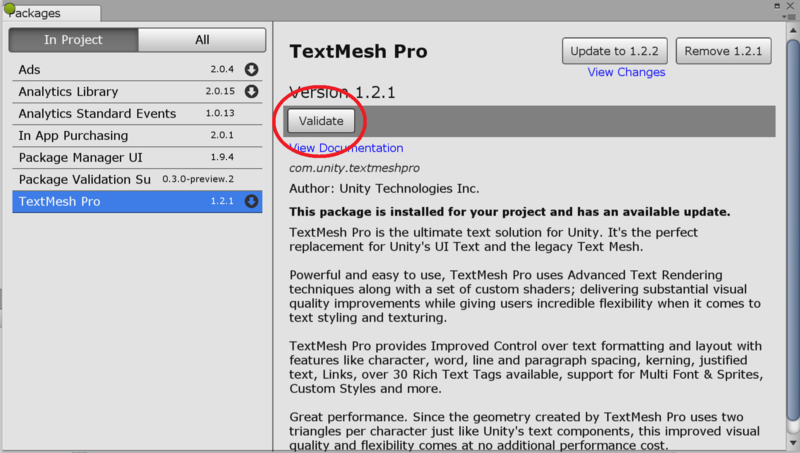 As shown below, once the validation package is installed in your project, the Package Manager UI will expose a new "Validate" option in the details section of the UI. The package being tested will get "built", to reflect the file set it will contain. The previous version of the package will get downloaded, for comparison and upgrade testing. The validation tests will get run. A report will be produced for viewing. This is a temporary UI for internal development only. Not all validation tests are implemented, more to come! April 12, 2018 Document created. Matches package version 0.3.0-preview.3.